How to Place Your Power, Ground and Signal Traces? With your components placed, it’s now time to route your power, ground and signal traces to ensure your signals have a clean and trouble-free path of travel. Here’s some guidelines to keep in mind for this stage of your layout process. Connecting your signal traces to match your schematic guidelines. It’s recommended to always place traces as shortly and directly as possible between components. 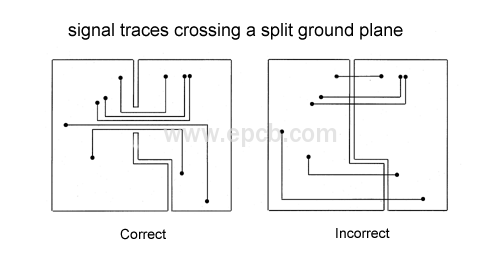 And if your component placement forces a horizontal trace routing on one side of the board then always place traces vertically on the opposite side. Your design will likely require different nets that will carry a wide range of currents, which will dictate the required net width. With this basic requirement in mind, it’s recommended to provide a 0.010” width for low current analog and digital signals. And when your traces carry more than 0.3 Amps it should be wider.